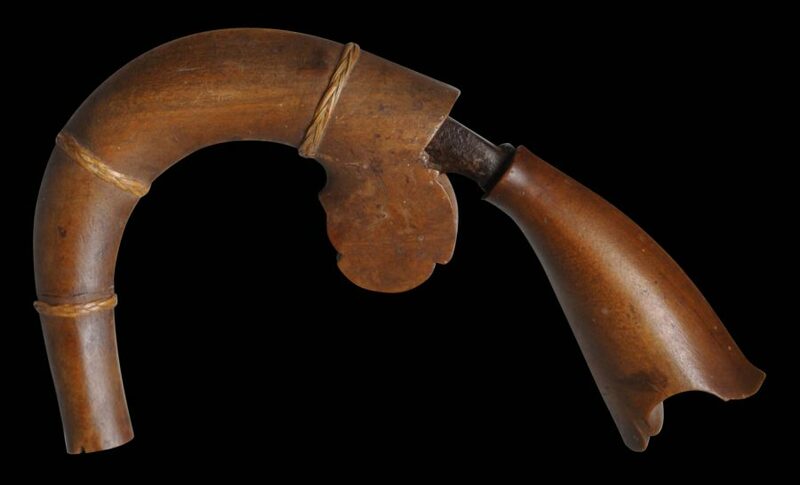 This strange little knife is known as a kerambit, a korami or a lawi ayam. It comes from the Malay people of the Malay peninsula. 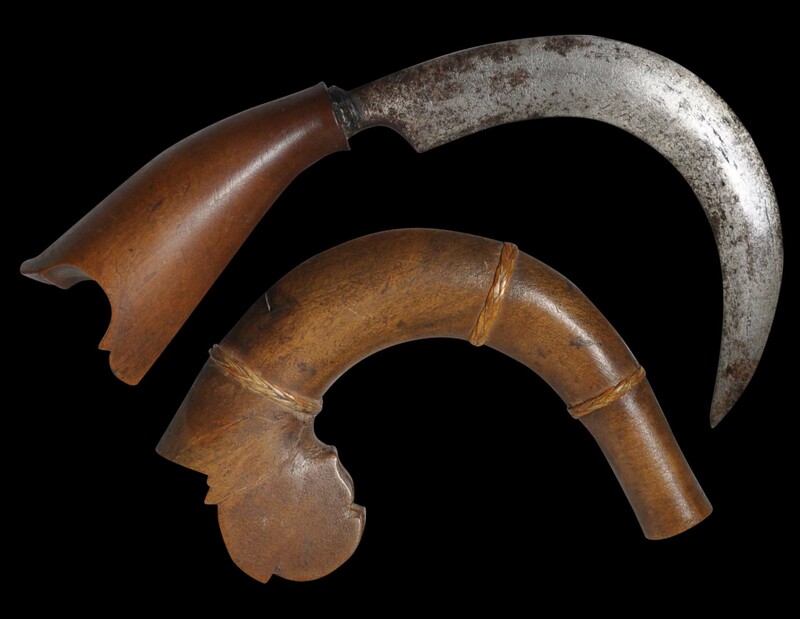 The Malays of Sumatra also used similar knives. 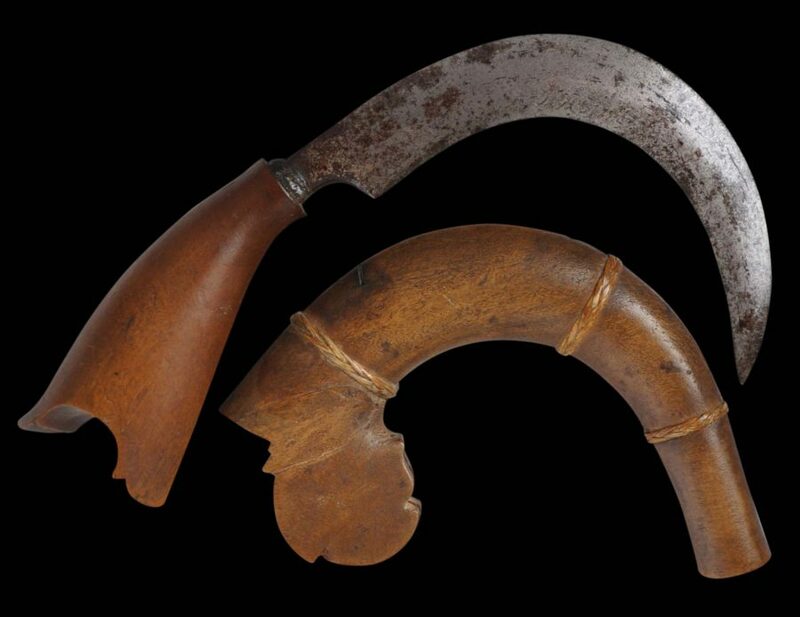 The shape curved shape is based on the shape of a tiger claw, although the curve on this example is unusually extreme, indeed is almost improbable – it is a wonder that the knife can be comfortably returned to its sheaf. 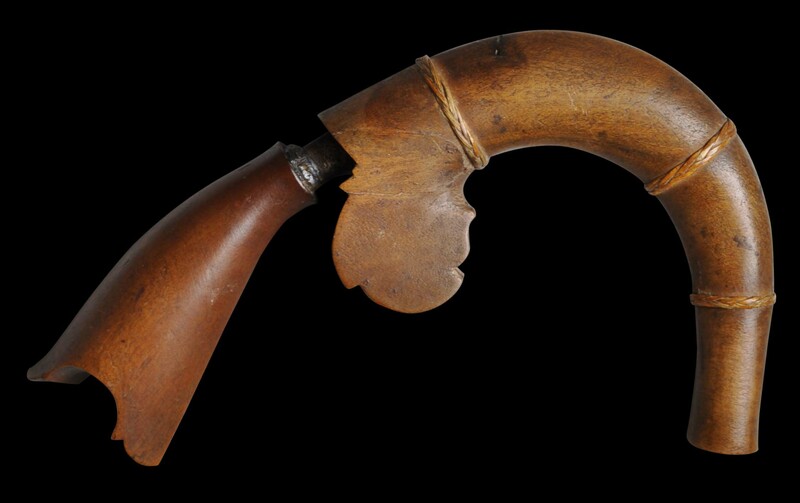 It was designed for ripping at flesh, or anything else, and is said to have been used by Malay women to defend themselves. Such knives could be concealed in a Malay lady’s hair bun (Sheppard, 1972, p. 135). The blade is single-edged and of steel. The hilt and sheaf are of carved wood with the sheaf being kept together with three finely plaited bands of rattan. The knife has obvious age and a fine patina. The blade has the usual old rust stains. Sheppard, M., Taman Indera: Malay Decorative Arts and Pastimes, Oxford University Press, 1972. Stone, G.C., A Glossary of the Construction, Decoration and Use of Arms and Armor in all Countries and in all Times, first published in 1934, Jack Brussel, 1961.